GOD = Generator (Brahma) Operator (Vishnu) Destructor (Shiva). = Proton Electron Neutron. = Sub-atomic particles (Paramanu, a name in Shri Lalitha Sahasranamam) which make up Matter. Read more: My thoughts on The Creator and GOD. Brahma, Vishnu, and Shiva are Men. = GOD is masculine. = Matter is masculine. Lord Brahma (Proton) is married to Goddess Saraswathi (Anti-proton). 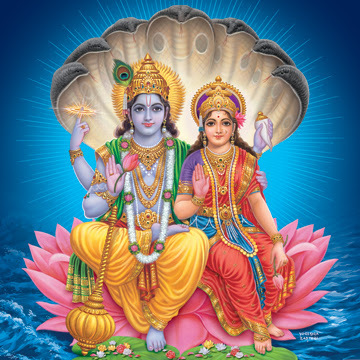 Lord Vishnu (Electron) is married to Goddess Lakshmi (Positron). 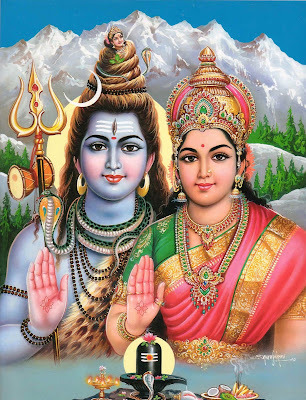 Lord Shiva (Neutron) is married to Goddess Parvathi (Anti-neutron). = GOD is masculine. = Goddesses are feminine. = The antimatter particles corresponding to electrons, protons, and neutrons are called positrons (e+), antiprotons (p), and antineutrons (n); collectively they are referred to as antiparticles. The electrical properties of antimatter being opposite to those of ordinary matter, the positron has a positive charge and the antiproton a negative charge; the antineutron, though electrically neutral, has a magnetic moment opposite in sign to that of the neutron. = Anti-matter is feminine. = Goddess is anti-matter. Lord Vishnu and Lord Shiva are not harmed by Sesha [Snake] which indicates Death and Time. = Electron and Neutron cannot be destroyed. Goddess stays close to GOD. 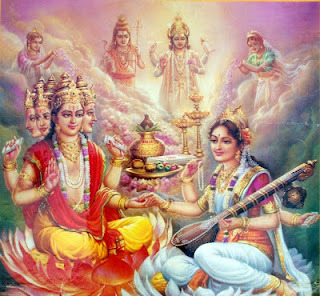 = GOD and Goddess are inseparable. = This means matter and anti-matter are so close to each other that they coexist and the feminine anti-matter is dominated by masculine matter so powerfully that we see only masculine matter, GOD. We rarely get a chance to see Goddess, anti-matter, which is proven by the fact that there are not many Rishis in Indian mythology who did tapa for a Goddess and have her live darshan. Separation of GOD and Goddess is a sin religiously and requires a lot of energy scientifically which may even lead to destruction. = GOD cannot exist without Goddess. = Matter cannot exist without Anti-matter. See how great our Goddesses are who are invisible, but still exist, to show us GOD. That is the power of feminine nature. Respect women. There is a woman behind every successful man. This post is dedicated to my one and only lady boss at AT&T, San Ramon, from TechMahindra (Americas) Inc.
Read a scientific explanation of antimatter here- http://www.britannica.com/science/antimatter. 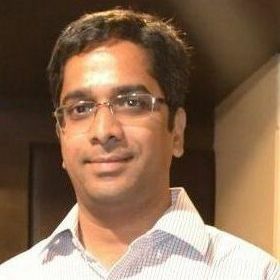 Do Swadharma, Avoid Paradharma. Worship work. Come out of depression. Suicide is a sin. Tips for youth to be a good student. Advice for Lovers: Love Loving. Reuse intellectual property. Avoid rework. One Code; All Devices. Future of New Apps. Best Boss, lead by example.